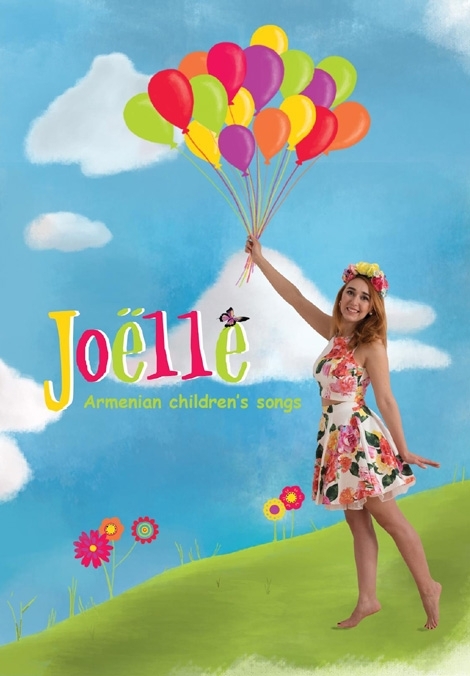 A new CD/DVD box set of original Armenian children's songs by Joëlle, a children's singer from Montreal, Canada. Her goal is to introduce new Armenian songs to young children and keep them connected to their cultural roots. Joëlle is passionate about kids, their laughter and their imaginary world. As an early childhood educator, she has been working at an Armenian daycare in Montreal, Sourp Hagop for many years. Making new songs for children has been a lifelong dream that she had finally achieved with her first album and DVD “Joëlle Vol. 1”. She has since continued pursuing that dream with her second album.